OK, kittens. I'm countin' on everyone's knowledge of the history of pop culture here. Esp TV pop culture and old TV ads. 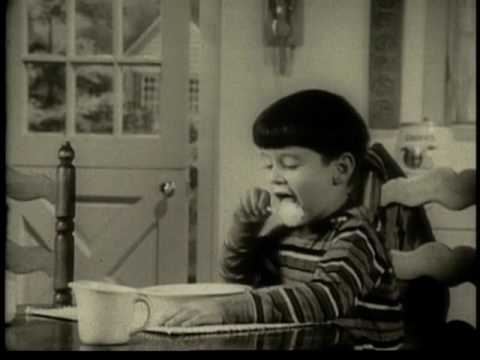 Way back when, probably in the 60's I'm guessing, there was an TV advert that had a child being followed around outside in the cold/wintertime by a bowl of hot cereal. Well, or hot soup. Can't remember, and for the life of me, google and youtube are failing me. I swear I remember seeing this and I wasn't dreaming, other peers of mine also recognize it. Could it possibly have been Cream of Wheat? 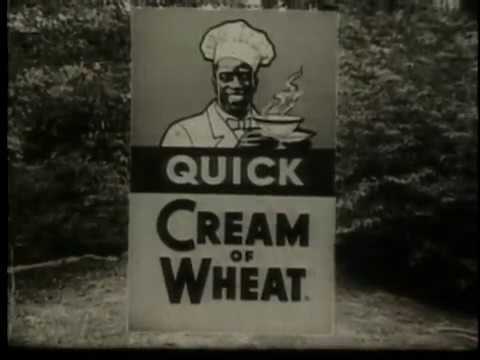 It seemed like it must have been hot cereal, but I can't find it among the vintage Quaker Oats so I looked up Cream of Wheat ads. What do you know? One of the choices was Cream of Wheat Floating Bowl although I've yet to see the floating bowl ad. I do remember that one, though, so it's not just something you imagined. These maybe aren't exactly as you described, but they do have a bowl of Cream of Wheat following a kid! OMG Muelonil!! You found it!! Thank you!